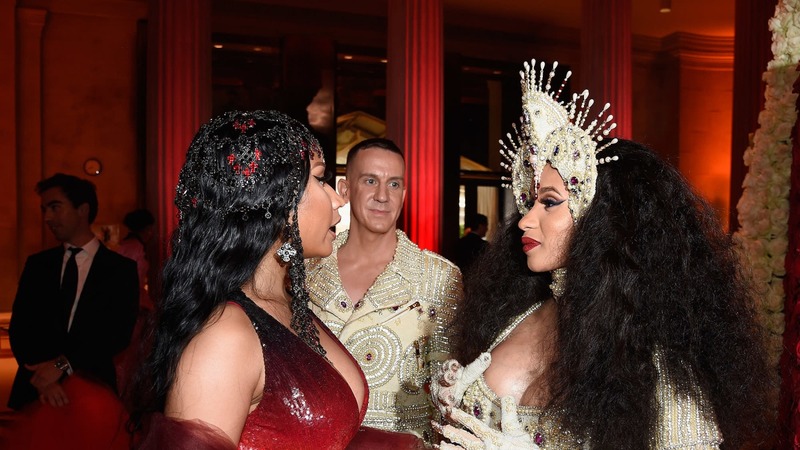 What we witnessed Friday, September 7—the physical showdown between Cardi B’s entourage and Nicki Minaj’s security at Harper Baazar’s New York Fashion Week party—is the result of rap stans pushing two leading emcees into beef. And while these superfans shouldn’t be fully blamed for an issue brewing between two individuals behind the scenes (who also happen to be competitors for more cash and slices of rap history), stan wars have added a new context to the industry. But before we delve into Nicki Minaj and her “beefs”—as they all have seemed to expose the most on stan culture’s traverse effect on hip-hop—it’s best to quickly run through history’s previous examples. Just as with any music scene, stans have always existed since hip-hop’s conception, first as die-hard fans of the sound, artform, and its revolutionary impact on music all around, before trickling into crowning their G.O.A.T.s. Around the unfortunate time of 2Pac and The Notorious B.I.G.’s deaths, the culture turned standom into a coastal showdown, and not just East Coast versus West Coast. It eventually flipped into a game of rap fans solely repping the Dirty South, or Chi Town, or Philly, just to name a few territories. To quote REVOLT’s own Kathy Iandoli, “hip-hop is a sport,” and everyone is moving their way to the top spot by any means necessary. In this case, if your city hailed the most #1 hits and the highest paid artists, the nation or, better yet, the world understood your language. It reflected they were curious about knowing your block. That translated into larger street cred, with various rappers spitting that they're the King and Queen of their city. 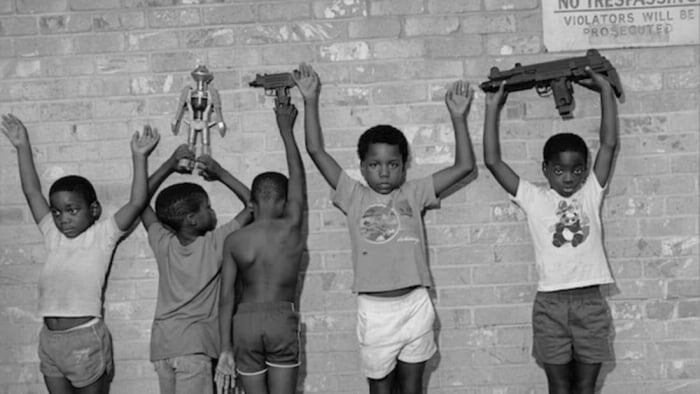 Street cred brought about rapid sales and charting in the top spots. Today, we have Cardi B (and now, 6ix9ine) calling herself “The King of New York”; simply flashback to five years ago when Compton’s own, Kendrick Lamar, brought out lyrical fisticuffs by making the same statement. 50 Cent would use comparison of music sales as arsenal in his beef against Ja Rule, and even in a commercial war against Kanye West. He won the former battle, but his LP, Curtis, notably lost the latter to Graduation. 50 Cent’s calling upon stans to buy his music—in order to defeat his foes—came at an interesting time of pure album sales dying down to digital consumption. And by digital consumption, it wasn’t just purchases on iTunes, but also YouTube views, a higher percentage favor in social media comment sections and, eventually, streaming numbers. Hip-hop’s perception of stan power forever changed this digital age when the epic Summer ‘15 Beef between Drake and Meek Mill took place. Due to his popularity alone, Drake came out on top as his stans made sure to stream “Back to Back” enough for a charting position on the Billboard Hot 100 and circulate memes making fun of the losing side. 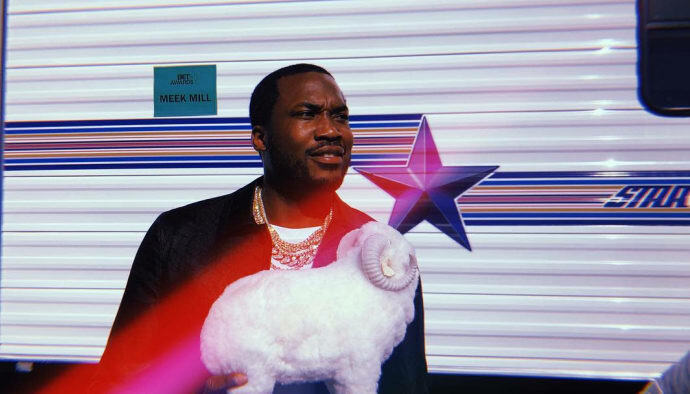 Because of his hailing of the 6, cities got involved, with Toronto booing Meek Mill during their stop of The Pinkprint Tour. 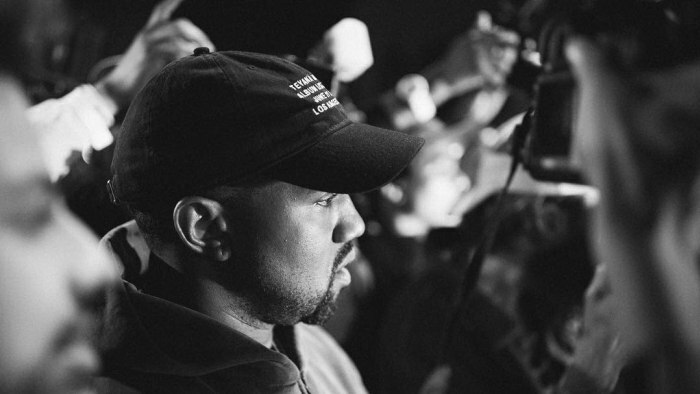 The conversations surrounding the lyrical kings of hip-hop took a backseat to who the homecoming kings of hip-hop are; your place in the top spot no longer mattered in the new age if your work wasn’t selling, Pablo. It’s amusing watching Nicki Minaj maneuver through her beefs—she’s not only following a radio/podcast trajectory like Joe Budden, but also taking a few pages from 50 Cent. However, with hip-hop coming to a standstill concerning its sharper change in sonic direction this 2017, standom didn’t completely let her off the hook or spare her, like they have her countless male role models. She learned the hard way that her “SHEther” response, “No Frauds” (assisted by “Changed It”), followed up by a dissing pop feature on Katy Perry’s “Swish Swish,” would flip the script on stan control. While she quantified “you can’t be Pablo if your work ain’t selling” with a slew of chart entries to break Aretha Franklin’s Billboard record of female artist with the most Hot 100 chart entries, her artistic credibility landed a harsh fall amongst the public. And why? 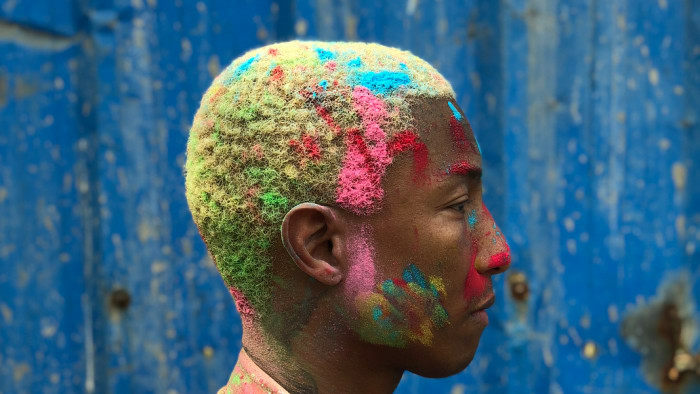 Stans not only extend to the artist, but the artform as a whole. There also exists those who solely stan the culture and the artists preserving that legacy. Every year at some point, hip-hop is destined to face the good ol' “is the new school ruining the genre?” debate—and with that comes who's still top dog and who’s fallen off. Out of all the years that saw these issues rush to a head the most, 2017 had to be the most off-kilter. That year, the genre was recognized as America’s most consumed, overtaking pop and rock. That meant more eyes and ears were tuning into hip-hop, and that its audience was no longer what it once started as. As someone with clout in pop, Nicki Minaj tried to use that factor in her battle with Remy. It’s something she learned a thing or two from Taylor Swift—who’s been engaged in a more snake emoji-filled rivalry with Kimye fans—and Miley Cyrus. However, rap fans too much in a tizzy about the state of its current artistic value didn’t care about pop sales. 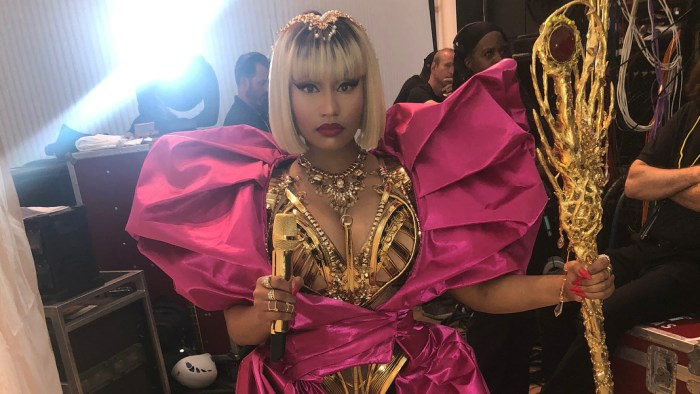 They wanted Nicki to not only prove that she is the Queen of Rap, but a better lyricist one-on-one, and also explain her morals after some explosive accusations. When Remy spit “guess who supports a…”—well we all know the rest—it not only placed a lens on Nicki’s character, but also had fans questioning who they supported and claimed to be their leader. To place this more bluntly: Who you declare your idols and role models, reflect who you are as a person. The incident between Cardi B and Nicki Minaj seems to be an extenuation of the “SHEther” ripple effect. Moral is again at the forefront, with stans on both sides not only using sales, rumored payola debates, and charting as ammo, but now personal ethics. Many suspect that after Cardi B’s Instagram post explaining her actions, that one screenshot of Nicki Minaj allegedly liking a tweet calling out Cardi B’s mothering skills, is what broke the last straw. Now with "cancel" culture at a fever pitch, stans have found a new way to push their respected artists to the top. Rap, up until now, had not seriously faced these discussions for everyone from national daytime talk to CNN to the grocery store magazines, to have an opinion. Even today, male artists don’t receive these consequences as swiftly as the female emcees. The word “problematic” is tossed around 24/7 on Instagram and Twitter, and that could possibly be attributed to its origins in recent pop standom, thanks to the overuse of “woke” tying into worldly affairs. Nicki Minaj seems to be taking standom’s effect in hip-hop to new heights. In a Trumpian-MAGA manner, she’s no longer depending on her music to keep her relevant, but a radio show where she shouts out her biggest fans and even repeats their posts to fight her battles. This style of demanding her Barbz to find the name of a Billboard writer or encouraging them to “drag” her naysayers is a testament to her ability to play the game. She’s also race-baited (referring to Cardi B’s former words) trying to turn hip-hop’s majority black audience against the Trap Selena. 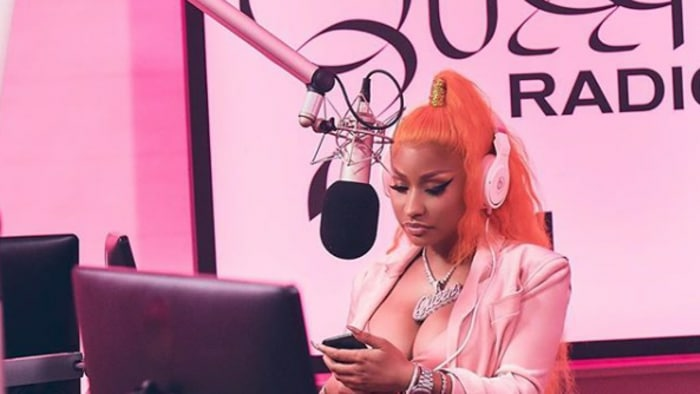 Nicki Minaj understands that if it looks like a lot of people are supporting you online, to the point of causing social disruption, then it appears you still have sway as an artist. Zaytoven made one of the biggest social media blunders this year when his intern tweeted that artists must have a minimum of 100,000 social platform followers to be considered for a beat. This reflected an open secret which common sense could spell out: A&Rs of hip-hop care a little bit too much about what the fans say and how that can affect “the bag.” In ways, stans have become the new A&Rs from home—even ending some careers in the matter of one viral tweet. While male rappers are still seeing their bags protected for the most part—Future, not too long ago, boasting on wax “I blow a bag today”—the women of rap are sending that phrase around to get stans worked up. For hip-hop culture, stans show out the most in the women’s rap division, partly due to the outright shady moments and an insatiable hunger for ladies being catty. Lil’ Kim started a revolution of naming her followers The Beehive on La Bella Mafia, with others following suit. Ironically, her Beehive and the Barbz would also be engaged in one of pop’s most recognizable stan wars—the accusation of bag-stopping being at the forefront. But what Nicki Minaj hadn’t taken into account is how hip-hop success will always rely on street cred with or without stans. Since she’s declared herself the Bad Guy, there are now pop followers who hear her lyrics about being No. 1 on the charts, look at the stats on Billboard and the Twitter account @chartdata, and laugh. Seeing Invasion of Privacy’s better first week sales than Queen, in addition to two No. 1 singles on the Hot 100, has drawn the favor to Cardi B. Nicki is ultimately losing the main stan battle: convincing the general public and core hip-hop fans that what she’s saying on wax is true. And while stans from both The Kingdom and Bardi Gang will continue to antagonize one another— with Eminem fans going to bat for his legacy on a different end, J. Cole fans awaiting rescheduled Dreamville Fest dates, and Drake’s scratching their head to his on stage hug with Meek Mill—it’ll be interesting to see how stan culture will futher develop in hip-hop's near future. Bizzle talks new album "Crowns and Crosses"
Insider Access | Skrillex Performs Extended Version Of Jack Ü's "Beat Steady Knockin'"